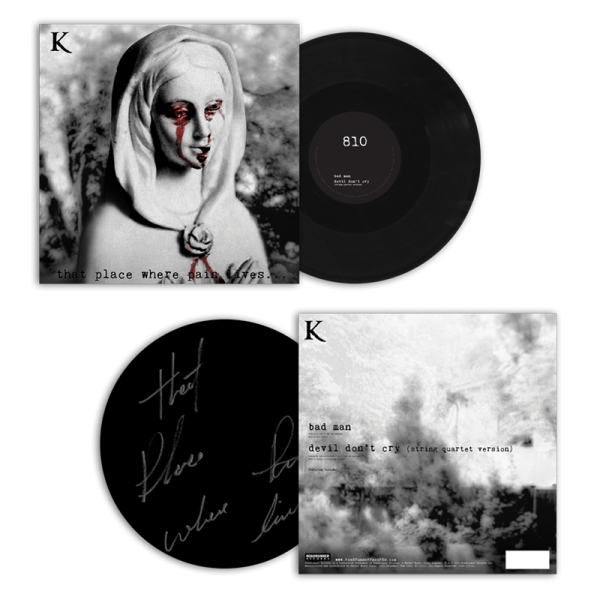 The KING 810 â€™that place where pain livesâ€¦â€™ 10â€ is a limited edition 10â€ vinyl with two tracks on Side A featuring RosieMay. Side B is has no audio but features an etching. The vinyl is also hand-numbered for the 2,000 copies available worldwide.